Share the moment, share the connection. These are the small moments that add up to make life truly special. Send this exclusive hamper to your loved ones on the auspicious occasion of Eid ul Fitra. 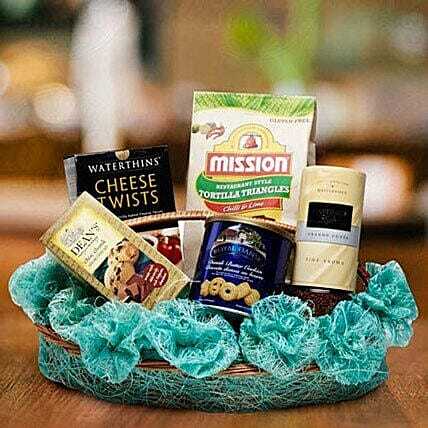 Hamper includes: Davidoff Cafe Fine Aroma 100gm, Deans Choc Chunk Shortbread 160gm, Waterthins Cheese Twists 110gm, Mission Chilli Lime Corn Chips 230gm Royal Dansk Danish Butter Cookies 200gm in a well decorated basket. Please Note: If a particular brand or product is not available, then we will replace it with available product/brand of same or higher value.